For a few weeks there, I really thought the impact of the independents might see a changing of the guard in the south-west at the state election on November 24, but, no, the Liberals are on track to win yet again. How I would love to see our seat change hands – just this once – or at least become marginal, just so we know what that feels like. 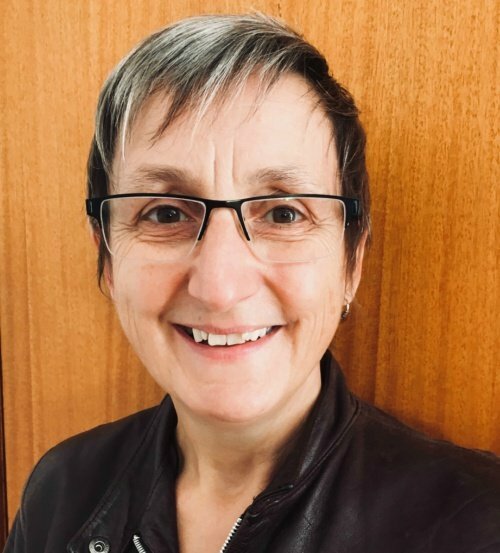 But as former south-west candidate and self-confessed political junkie Roy Reekie sets out in detail in his blog, it all comes down to simple maths and the maths is firmly on the side of a victory for Roma Britnell and the Liberal Party. 1) As a safe Liberal seat, the Liberal Party already starts miles ahead of everyone else. At the 2015 by-election, with few people even knowing who Roma Britnell was, she was still the first choice of 40% of voters. Remember, she only needs 50.1% of votes to win. 2) Former Moyne Shire mayor Jim Doukas, who apparently doesn’t like independent candidate, Upper House MP and fellow former mayor James Purcell very much, is set to be the queen maker via his preferences. Former Moyne Shire mayor Jim Doukas has blocked his former colleague’s James Purcell’s run for the lower house by preferencing the Liberal’s third and Purcell fifth. Just a quick primer on preferences, for those who are not political junkies and find the whole thing totally confusing. In a nutshell, who you vote for first is critical, but also who you put second, third, fourth, fifth etc is just as important because these votes can decide who actually wins. How? Well, imagine the election as a foot race where each candidate starts with a sack of golden potatoes (aka first-preference votes) and the person holding the majority of potatoes at the end, wins. The person with the least amount of golden potatoes drops out of the race first, but their potatoes don’t go to waste. No! They are instead distributed to the others who are still in the race. This dropping out of candidates and distributing of their potatoes/preferences goes on until there is one winner with a big fat sack of spuds (aka a majority). Using this analogy, Roma Britnell, as the sitting Liberal candidate in a safe seat, will start on November 24 with a hefty bag of potatoes – she had 15,486 of them as a newcomer in 2015 and only needed another 4000 or so to have a majority. 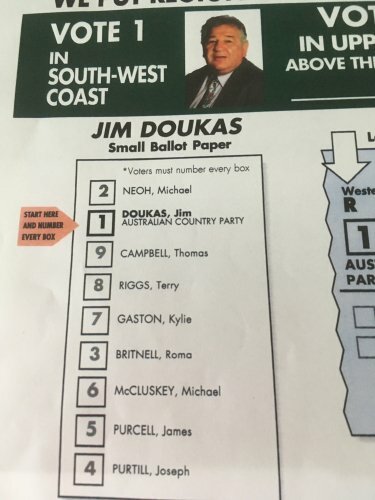 Country Party candidate Jim Doukas last time started with around 4000, which is substantial, so you can see why where he decides to direct his preferences really matters: everyone wants his potatoes! Unfortunately for James Purcell and Labor’s Kylie Gaston and the Greens’ Thomas Campbell, Mr Doukas has decided to direct his spuds first to Michael Neoh and Roma Britnell, in that order. James Purcell is a lowly fifth on his preference list. Just remember, Roma doesn’t need that many extra spuds to crack that magical 5o%-plus-one mark and Jim is now her greengrocer. James Purcell must be spitting chips. This was not how it was supposed to play out when he decided to take the leap from the Upper House to run for the Lower House. It was always going to be a tough haul for James to get close to beating Roma, but if all of the “others” banded together and agreed to share their votes via preference deals, then maybe he at least had a half chance as a “I’m-not-Liberal-but-I-am-conservative” candidate. Make us marginal: Former National candidate now independent Michael Neoh has relegated Roma Britnell to seventh, behind the ALP. At least independent and former Warrnambool mayor Michael Neoh has done his bit to try and shake the south-west from its slumber and, in so doing, has performed a 360-degree twist in allegiances that would leave any head spinning. 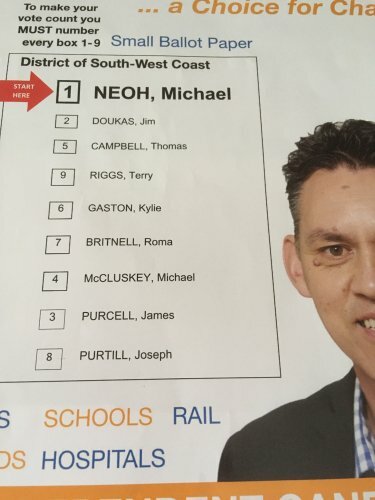 In 2015, Michael ran for the National Party after failing to win preselection for the Liberals, and it was his preferences that helped get Roma Britnell safely over the line (ahead of the aforementioned Roy Reekie). 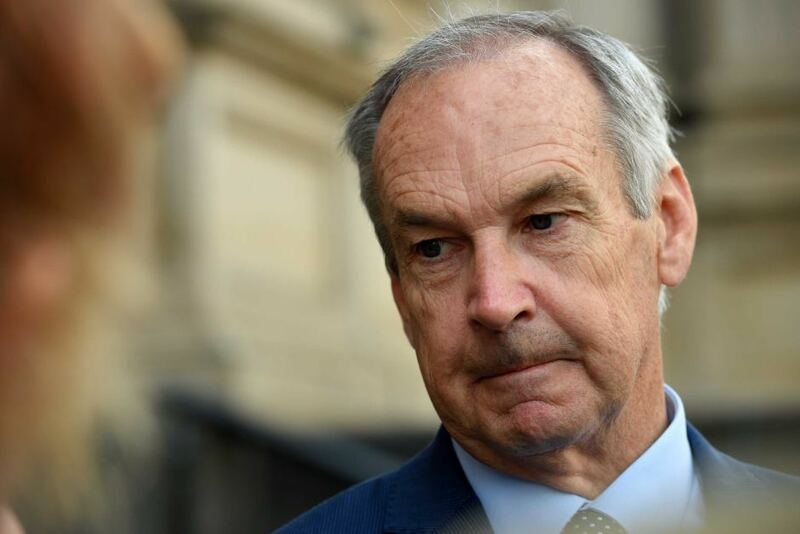 This time, however, Michael is running his own race and Roma has been dropped to 7th on his preference list behind the ALP’s Kylie Gaston – ouch! – you can see why they say there are no friends in politics! Well, I think the most we can hope for is that the influence of the independents sees the south-west shift from being safe to not-so-safe and maybe even a tiny bit marginal. This would be a victory for all of us, even Liberal voters, because we all know that it is the marginal seats that have better roads than ours, better trains than ours, more funding for projects like hospitals and schools and libraries, and – above all – a genuine sense that our vote can never be taken for granted, and that, dare I say, is no small potatoes. If you haven’t voted yet and want to help make this seat marginal, vote for one of the independents, the Greens or the ALP. For a much more detailed analysis of how things could play out, please read Roy’s blog here (written before the preference deals were announced). Roy crunches the numbers like nobody can. In keeping with your “Potato” analogy – We have a bag of 9 spuds and 5 are rotten! Not a good choice!! Purcell was the biggest dud of the lot … all hot air and claims over others work … complete WindSock! Great article Carol. Thanks for the clear explanation.